Other photos: Photo 1, Photo 2, Photo 3, Photo 4, Photo 5, Manufacturer Provided Image, Manufacturer Provided Image, Manufacturer Provided Image, Photo 9, Photo 10, Photo 11, Photo 12. 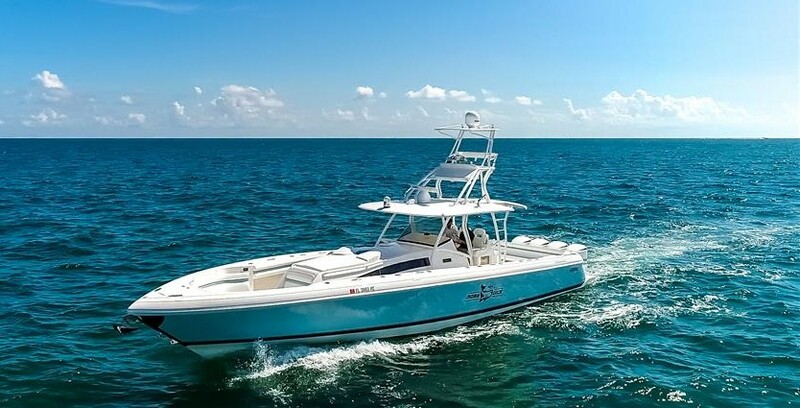 This boat is the perfect boat for enjoying the island life style down in the Bahamas or going for a evening cruise. Plenty of seating to bring all of your friends and family, along with storage for your diving and fishing equipment. This is boat is turn the key ready, With tripple 300 Mercury Verados. The boat comes with extra features like a bow thruster and a starboard side dive door, . The boat is easy to see behind the owners house, call me to schedule a showing! SYS Yacht Sales is pleased to assist you in the purchase of this vessel. This boat is centrally listed by Apex Marine Sales, LLC.